El Mundo reports this morning that Hugo Chavez has appointed Henry Rangel Silva (pictured) as chief of strategic and operational command of Venezuela's army. 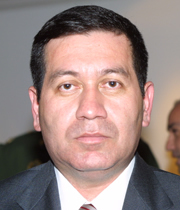 Rangel Silva was designated in 2008, by the U.S. Department of the Treasury's Office of Foreign Assets Control (OFAC), for materially assisting the narcotics trafficking activities of the Revolutionary Armed Forces of Colombia (FARC), a narco-terrorist organization. 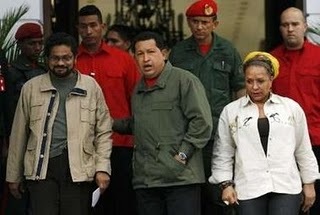 Regarding the decision, Chavez is quoted as having said that Rangel Silva "merited" the promotion, and that he was "his captain" when the Venezuelan caudillo was briefly ousted in April 2002. Let us see how long will it take to international media, and indeed authorities, to pick up on the appointment to such a position of a collaborator of Colombian narco-terrorists.